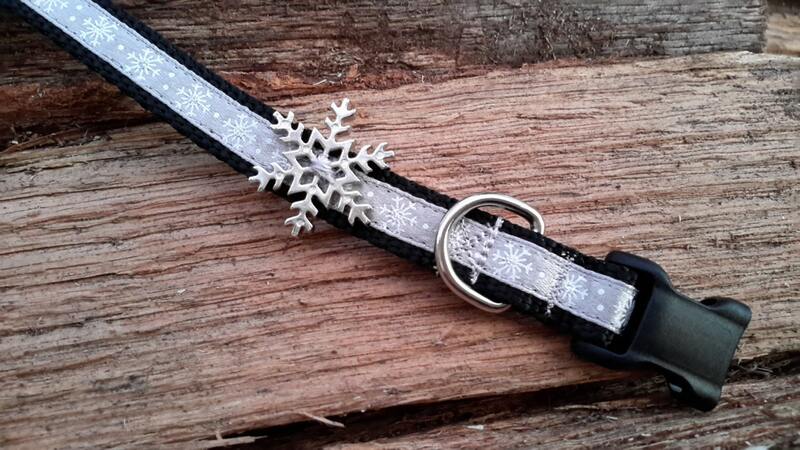 Show your dog some winter love! 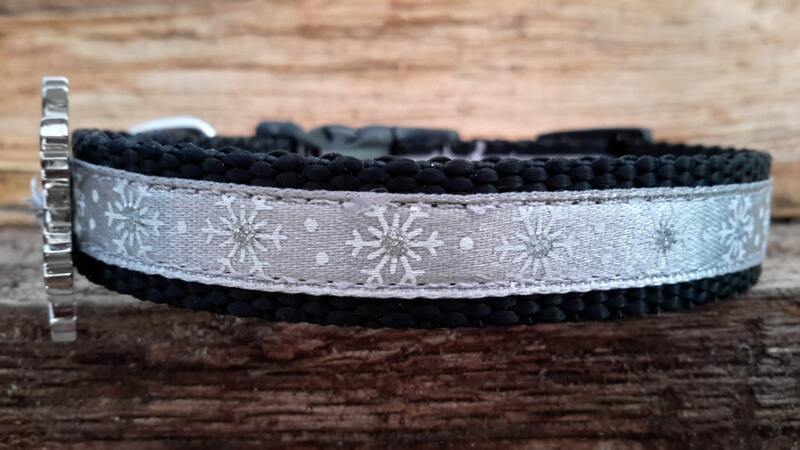 Silver and white snowflake ribbon is sewn onto strong 5/8 inch black nylon strapping. 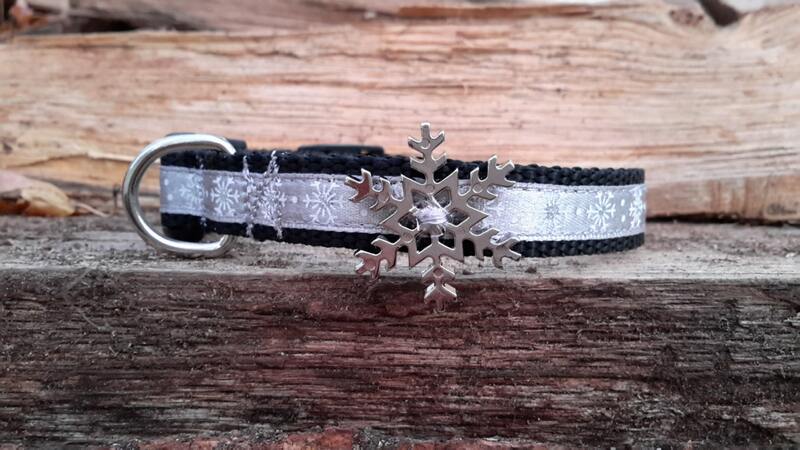 One shiny silver snowflake makes a statement! Nylon ends are melted to prevent fraying. Collar opens and shuts with contoured side release buckle and adjusts in length up to 12 inches using the triglide slide. 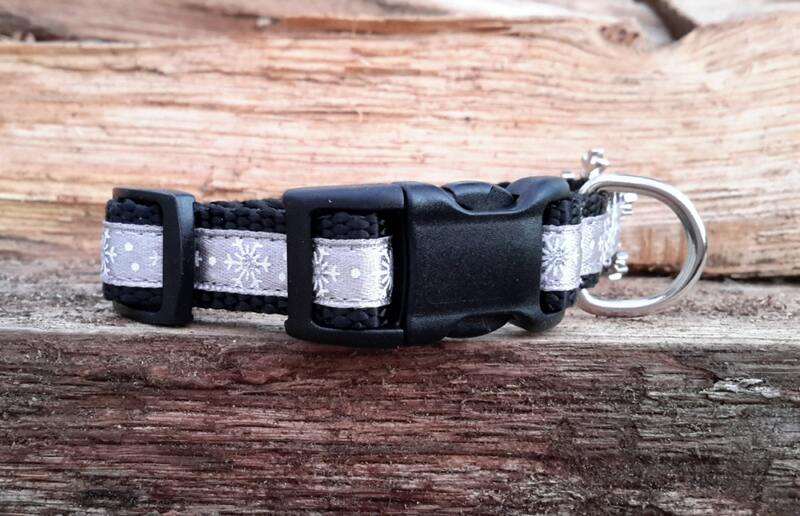 Latch your doggy up for winter walks with the square bottom heavy duty D-Ring. Collar is triple stitched and boxed stitched for security and safety.